Gentrification remains a subject of heated debate in the public realm as well as scholarly and policy circles. 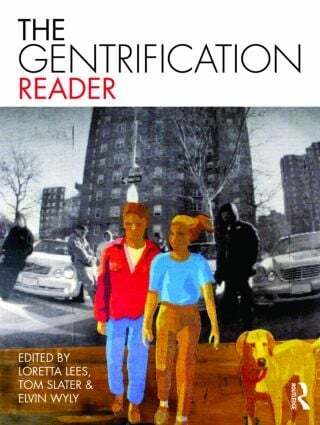 This Reader brings together the classic writings and contemporary literature that has helped to define the field, changed the direction of how it is studied and illustrated the points of conflict and consensus that are distinctive of gentrification research. Covering everything from the theories of gentrification through to analysis of state-led policies and community resistance to those polices, this is an unparalleled collection of influential writings on a contentious contemporary issue. With insightful commentary from the editors, who are themselves internationally renowned experts in the field, this is essential reading for students of urban planning, geography, urban studies, sociology and housing studies. Loretta Lees is Professor of Human Geography at King's College London, UK. Tom Slater is Lecturer in Human Geography at the University of Edinburgh, UK. Elvin Wyly is Associate Professor of Geography at the University of British Columbia, Canada.